Neil Leonard Quartet performs "Sonic Memories In/Site" and other new works. In 2007 Leonard and Cuban born artists Maria Magdalena Campos-Pons were commissioned by Philagrafika to create music and a multimedia installation to celebrate the renovation of the Paul Robeson House in West Philadelphia. Leonard composed "Sonic Memories In/Site" for an all-star group of Philadelphia jazz veterans and premiered the work in Robeson's home. This February, Leonard returns to Philadelphia to perform this suite and other new works at PMA and to record this music for an upcoming CD. A native of Philadelphia, Leonard spent his formative years playing in groups with local greats Odean Pope, Robin Eubanks, Bobby Zankel, Byard Lancaster, Tom Lawton, Jymmie Merritt and Uri Caine. Since then Leonard has lived and worked in Boston, Cuba and Italy. Leonard's upcoming performances include Carnegie Hall, Galleria Toledo, (Naples), and the Panama Jazz Festival. 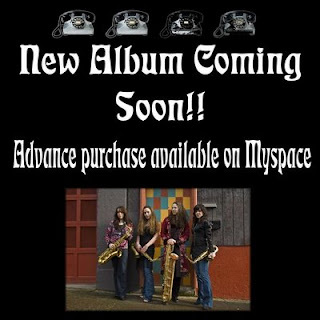 Recording session with same group. I will be featured on Paraskevas' A Night With The Aristocrats for soprano saxophone, acoustic guitar and string quintet. The Wayne Shorter Quartet and legendary pianist Chucho Valdes are among the headliners for the extraordinary Panama City-based festival, which includes performances, an extensive array of workshops and master classes, and auditions for admission and scholarships to several major music schools. Tickets go on sale December 1st. Richmond, CA (Billboard Publicity Wire/PRWEB ) November 13, 2008 -- American jazz saxophonist Wayne Shorter's acclaimed quartet with Danilo Perez, John Patitucci, and Brian Blade, and the legendary Cuban pianist Chucho Valdés are among the headliners at the 6th annual Panama Jazz Festival, which will take place in Panama City January 12 through 17, 2009. The Boston-based Panamanian pianist Danilo Perez, who founded the festival in 2003 and whose Danilo Perez Foundation coordinates its educational component, anticipates more than 16,000 attendees. "The Panama Jazz Festival has been a magical journey to a dream we've had for years in Panama," says Perez. "We, as a country, see the entire world pass through the Panama Canal every day, and we are honored to be the bridge of the Americas. But today, we are proud to say that every year--for the past six years--the Panama Jazz Festival has been the national event where the world does not pass by, but makes a stop in our wonderful land. The world's best jazz artists, as well as students and volunteers from all over the globe, unite in Panama with one goal in mind: to celebrate the world's diversity through jazz." For the fourth consecutive year, the Panama Jazz Festival will offer clinics and courses on music technology under the auspices of the Berklee College of Music Production and Engineering Department (MP&E) and Music Synthesis Department (MS). Courses on recording, mixing, and live sound will be presented by Rob Jaczko, Chair of MP&E; Alejandro Rodriguez, Associate Professor of the MP&E Department; and Neil Leonard, Chair of Berklee's Music Synthesis Department. Quadraphonnes saxophone quartets will be including my piece 4151 Walnut on their debut CD. More info TBA. In December I will be recording an EP of guitar music with NY based guitar virtuoso Oren Fader. He has performed hundreds of concerts in the United States, Europe, and Asia with a wide range of classical and new music groups, including the Met Chamber Ensemble, Orpheus Chamber Orchestra, New York City Opera, New York City Ballet, New York Philharmonic, Chamber Music Society of Lincoln Center, Mark Morris Dance Group, New World Symphony, Absolute Ensemble, Poetica Musica and Speculum Musicae. As a member of the award- winning new music ensembles Cygnus, Fireworks, and Glass Farm, he has premiered more than 100 solo and chamber works with classical and electric guitar, including compositions by Babbitt, Wuorinen, Machover, Biscardi, Currier, Naito, Pollock, and many others. Recent highlights include a performance of Boccherini "Fandango" Quintet with the Chamber Music Society of Lincoln Center, and the "Aranjuez" Concerto at Brooklyn College. Mr. Fader can be heard on over 20 commercial recordings and film; his work is featured in the classical guitar parts for the recent film Everything is Illuminated. Bridge Records recently released the Cygnus Ensemble's second CD, Gone for Foreign, and next fall the Anderson/Fader guitar duo will release a CD with music written for them, including works by Wuorinen, Lang, Rokeach, and Johnson. Mr. Fader’s latest solo recordings include Another's Fandango, featuring 500 years of guitar music, and First Flight, containing 10 premiere solos written for Mr. Fader by New York City composers. Guitar Review's recent review noted that his skill, “particularly his conductor-like understanding, is palpable on every track." 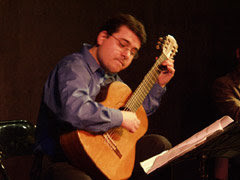 Oren Fader is member of the Manhattan School of Music guitar and chamber music faculty. Cuban composer Juan Blanco, a pioneer of Latin American electro-acoustic music, died Wednesday in Havana of respiratory failure. He was 89. Blanco died at Hermanos Ameijeiras Hospital, where he was being treated for kidney problems and hypertension. Born in Mariel, Cuba, in 1919, Blanco established himself early as a defender of experimental music without forsaking the sensibility of traditional Cuban sounds. He defined himself as the inheritor of modern Cuban composers such as Alejandro Garcia Caturla and Amadeo Roldan. Blanco composed more than 160 works that have been interpreted by the National Symphonic Orchestra of Cuba and by soloists such as Paquito D'Rivera, Leo Brower, Merceditas Valdes and Tata. He also composed pieces for television, movies, ballet and outdoor performances. During the 1960s, Blanco was music director of the Cuban National Council for Culture. In that position he opposed censorship of foreign music, especially from the United States. Although he could not teach officially at a government institution for several decades, he organized vanguard concerts out of a small studio at the Cuban Institute for Friendship with People that influenced new generations of composers, such as Juan Piñera and his own son, Juan Marcos Blanco. In 1981, he established the International Festival of Electro-acoustic Music that was entitled Springtime in Varadero. During the 1990s, Blanco continued his musical experimentation with the use of computers. His studio was renamed as the National Laboratory of Electro-acoustic Music. Various institutions commissioned pieces of music from him, allowing him to travel throughout Europe, Latin America and China. In 1993, he presented several of his compositions in Boston. In 2002, Blanco was awarded the Cuban National Prize for Music. He had six children, two of whom live in Miami. En el dia de hoy, a las 10:50 am falleció a los 92 años producto de un paro respiratorio, el Maestro Juan Pedro Blanco Rodriguez, pionero de la música electroacústica en América y fundador y director del Laboratorio Nacional de Música Electroacústica. Su cadáver estará tendido en la funeraria de Calzada y K y el entierro se efectuará mañana a las 9:00 de la mañana. Juan Pedro Blanco Rodriguez, aged 92, pioneer of electroacoustic music in America, as well as founder and director of the National Electroaocustic Music Laboratory, passed away today in Havana at 10:50 am due to a respiratory arrest. His burial will take place tomorrow morning at the Cemetery Cristobal Colon in Havana. Do you really NEED a Doctorate? What are the types of schools that need music faculty? Cover letters, CVs, interview strategies and more! Neil Leonard works as a sound artist, composer and saxophonist. His ensemble featured Marshall Allen, Bruce Barth, Don Byron, Robin Eubanks and Uri Caine. Leonard’s Dreaming of an Island, (for orchestra, electronics and live-video) was premiered by Kirk Trevor and the Indianapolis Chamber Orchestra. Leonard's composition Totems was premiered at Carnegie Hall. His Echoes and Footsteps was featured by the Tel Aviv Biennial for New Music, Issue Project Room (NYC) and the Auditorium di Roma. Leonard's collaborative work with visual artist Maria Magdalena Campos-Pons was featured by the 49th Venice Biennial, Museum of Modern Art (NYC); purchased by the National Gallery of Canada; and presented by the U.S. State Department at Dakar Biennial. Leonard composed the music for Relatives, by Tony Oursler and Constance DeJong featured by the Whitney Biennial. 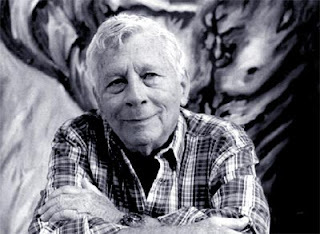 Leonard is co-owner of Gallery Artist Studio Project in Boston. In the past year Leonard organized two festivals of electronic music with concerts in Rome, Venice, La Spezia, Siena, Tel Aviv, Haifa, New York and Boston. Leonard is Interim Chair of the Music Synthesis Department and Professor at Berklee College of Music in Boston. He taught sound installation at the University of Padova and the C. Pollini Conservatory, Italy. He has taught courses in electronic music and multimedia at Northeastern University, Massachusetts College of Art and the School of the Museum of Fine Arts. Pianist Deborah Nemko is on the faculty at Bridgewater State College and also teaches in the NEC Preparatory program. She appears in concerts throughout the United States and Europe as both soloist and collaborative artist. In 2002 she performed the Belgian debut of Diane Goolkasian Rahbee's Sonata No. 2 in the Vresse sur Semois International Festival for Pianists and appeared in concert at Carnegie Hall in Rahbee's Concert in a retrospective of her compositions in 2004. Her performance of Rahbee's Preludes from her compact disc Preludes and Toccatinas was featured on Radio Mona Lisa, Amsterdam, The Netherlands, and on The Classical Discoveries Radio Program, Princeton. A champion of contemporary music, composers Dianne Rahbee, Scott Brickman and Justin Rubin have written works for her. Dr. Nemko is a frequent adjudicator for the New England Conservatory Preparatory Program's Concerto Competition, the Music Teachers National Association Arizona, and Massachusetts State Competitions. Much in demand for her teaching as well as performances, she has conducted master-classes at Buffalo State College, Chapman University, and at Greenfields Chamber Music Institute, Vermont. She is currently on the faculty of the New England Conservatory's Piano Preparatory Program. Dr. Nemko regularly presents papers and lecture recitals at the International Conference on Arts and Humanities, the International Festival of Women Composers, the College Music Society National and Regional Conferences, MTNA National Conference and the Schubert Club. Dr. Nemko was on the faculty of the International Piano Week, Belgium, from 2001-2005. She is currently the president of the Northeast Region of the College Music Society. Oliver Chamberlain is the former co-chair of the Composition and History Department in theCollege of Musical Arts at Bowling Green State University and the former Executive Director of the Center for the Arts at the Universityof Massachusetts Lowell. Chamberlain has been president of New England Presenters, Merrimack Lyric Opera and Indian Hill Music Center. He has helped a number of people edit their applications, including his own daughter who has just begun the position of associate production manager at the American Conservatory Theatre in San Francisco. He gained experience in teaching, publishing, directing and performing before applying to a university. He has coached people prepare cover letters, CVs and interviews. He has been published on the subjects of medieval motets, computer projection of arts center revenue, arts marketing and pricing the performing arts. He holds graduate degrees in Choral Conducting from NEC, in Music History from Brandeis University and in Arts Administration from the American University in Washington, D. C. He has interests in collecting American art glass, designing gardens and is a prize-winning photographer. Eric Hewitt serves as the music director and conductor of The Boston Conservatory Wind Ensemble, as well as chair of the woodwind department. He also serves as music director and conductor of the White Rabbit avant-garde ensemble, which is the ensemble-in-residence at Harvard University, and the Charles River Wind Ensemble in Watertown, MA. As a saxophonist, Eric Hewitt has presented critically acclaimed premieres by Luciano Berio, Gunther Schuller, Christian Lauba, and dozens of young and up-and-coming composers. He has been a soloist with nine Boston area ensembles, including the Boston Modern Orchestra Project, the FROMM Players at Harvard, and the New England Conservatory Wind Ensemble and has been featured as soloist on tours to Japan, Venezuela, and Cuba. He is also a member of the Radnofsky Saxophone Quartet. Mr. Hewitt recorded the Donald Martino Saxophone Concerto in piano reduction (previously unreleased), working with Dr. Martino at the sessions, and has recorded the saxophone quartet music of Iannis Xenakis and Franco Donatoni. He was a member of the Ryles Jazz Orchestra from 2000 until 2004 and performed with jazz legends such as Arturo Sandoval, John Faddis, Bob Brookmeyer, Ed Calle, George Garzone, Frank Vardarous, Jerry Bergonzi, Slide Hampton, George Russell, Marvin Stam, and Phil Wilson. I will be performing in and teaching at the Panama Jazz Festival, Jan. 12-17, 2009. Wayne Shorter, Johnn Patitucci, Danilo Pérez, Brian Blade, Chucho Valdés, Marco Pignataro, Eddie Gómez, Billy Drummond, Luba Mason, Hubert Laws, Rubén Blades.